6 Brilliant Tips to Get You Through the Winter! These 8 Tips Will Keep Your Kids Healthy! 9 Plays You Must Make to Jumpstart Your Diet! 7 Easy But Effective Fitness Moves to Make Now! 11 Things You Must Know Before Your Next Doctor’s Appointment! The “Queen of Rock ’n’ Roll” suffered a stroke, kidney transplant and intestinal cancer within a three-year period. 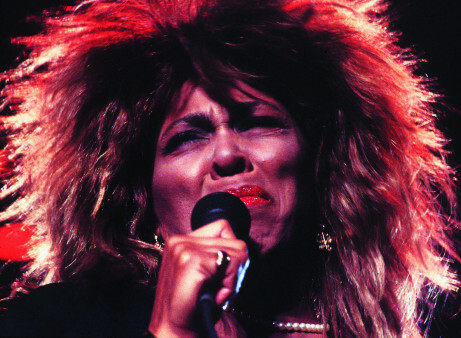 Tina Turner has endured a great deal during her 60 years in the spotlight. Although some of her past troubles are widely known, her new memoir, My Love Story, reveals that the music legend has also struggled with her health, including bouts with kidney failure and cancer, PEOPLE reports. In 2013, in the midst of celebrating her three-week marriage to her longtime boyfriend, Erwin Bach, Turner suffered a stroke. Terrified, Turner dragged herself to a sofa, “all the while thinking that I couldn’t imagine Tina Tunrer paralyzed,” she writes. “I doubted that I would ever be able to wear high heels again, let alone dance in them,” she shares. But Turner eventually learned to walk again. Then she experienced kidney failure and vertigo, according to USA Today. Turner was successfully treated for vertigo, and the condition of her kidneys stabilized. In 2016, she was diagnosed with intestinal cancer. Doctors removed part of her intestine, and she began traditional cancer treatment. But Turner couldn’t tolerate the unpleasant side effects of therapy, so she opted for homeopathic remedies. Then Bach offered her one of his kidneys. In 2017, Turner underwent a largely successful transplant surgery. “My body keeps trying to reject the new kidney, which is not uncommon after a transplant. Sometimes, the treatment involves spending more time in the hospital, and it comes with some unpleasant side effects, including dizziness, forgetfulness, anxiety and the occasional bout of insane diarrhea,” Turner reveals in her memoir. Click here to learn about managing cancer treatment side effects. Higher Blood Pressure OK for Some Older Folks? Experts Say Yes. Have you ever skipped meds in order to save money?